Celebrate the legacy and impact of Mister Rogers' Neighborhood. find ways to inspire the next generation of neighbors. Celebrate the legacy and impact of Mister Rogers’ Neighborhood. Share what Mister Roger means to you and find ways to inspire the next generation of neighbors. Explore songs, behind-the-scene clips, and short videos from the series. Spread Fred Rogers’ words of wisdom and his message of universal kindness. 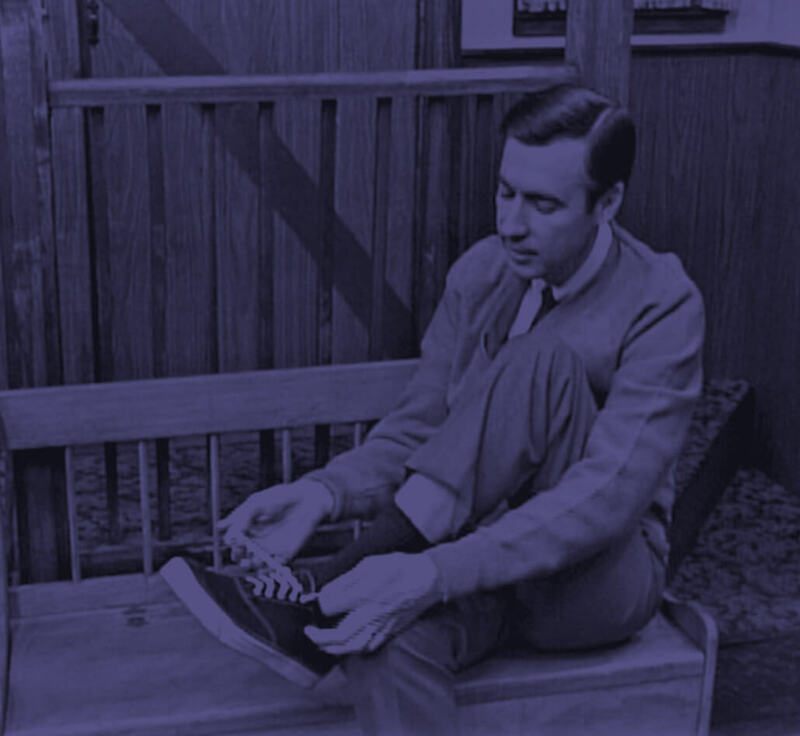 Learn more about the magic of Mister Rogers’ Neighborhood. Discover how Mister Rogers, with his caring and trusting ways created a calm, safe place for children to learn about themselves, about others, and about the world around them. Mister Rogers offered children lessons about empathy, emotions, and growing up – and he also offered parents simple strategies for helping their children grow and thrive. Learn fun facts about Mister Rogers’ Neighborhood, one of the longest-running programs in television history. © 2018 Mister Rogers Neighborhood. All rights reserved. Hero Image: Lynn Johnson Collection, Mahn Center for Archives and Special Collections, Ohio University Libraries.